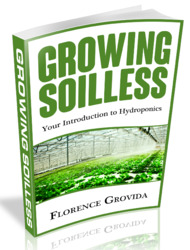 The process for developing agricultural technology and information follows a series of steps. Problems and opportunities are identified either through formal analysis or by intuition. Next, those participating in technol ogy generation prioritize problems and opportunities and convert them into options or treatments. Third, options are tested in experiments and studies. Formal data and informal observations are collected and evaluated. Finally, participants review the results and plan further steps for the generation of technology and information. To understand who participates in agricultural technology generation, those who make decisions and influence outcomes at each phase must be identified (Nelson, 1994). 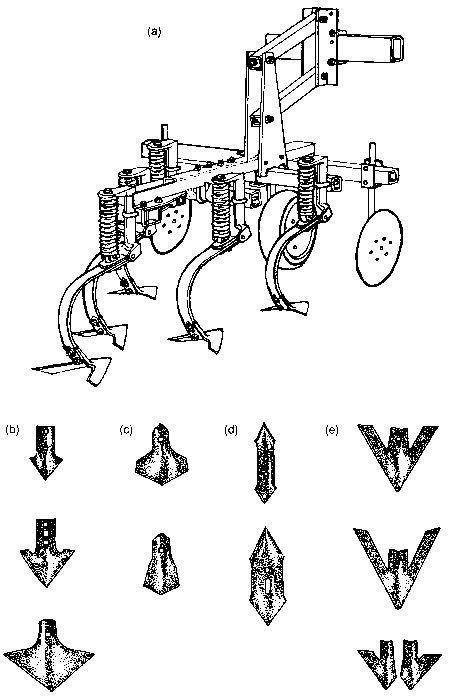 Biggs (1989) proposed four categories of researcher-farmer cooperation in technology generation, depending on who makes the decisions in each step. In a contractual relationship, researchers make all the decisions, but conduct the research on-farm, primarily to gain access to a wider range of soil and climatic conditions than is generally available on research stations. In a consultative relationship, researchers consult farmers about their problems and their views, but prioritize, design, and implement the research and interpret the results themselves. In a collaborative relationship, researchers and farmers work together to define problems and possible options for testing, share responsibilities for plot implementation and evaluations, and plan together further actions. In a collegial relationship, researchers support the farmer or farmers' group in implementing their own technology development efforts. 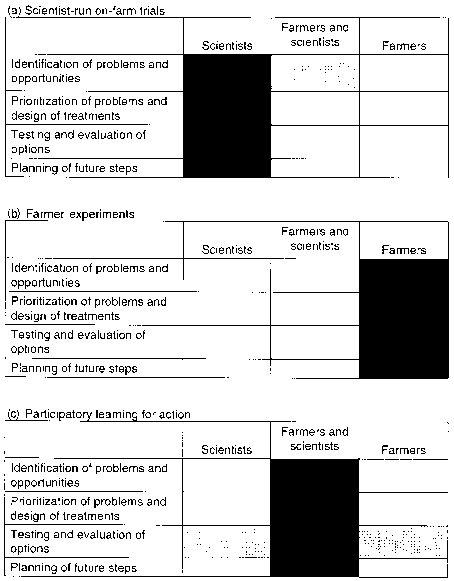 Figure 3.3, a matrix of the steps in technology generation, contrasts two of these cases, scientist-run on-farm trials and farmers' experiments. Participatory learning for action, also shown in Figure 3.3, is collaborative and collegial in its decision-making. In this approach, scientists and extension agents do not act as experts, even though they possess a wealth of information about weeds. Neither are they the only ones who know about weeds nor those solely responsible for solutions to weed problems. In the context of participatory learning, scientists and extensionists take on two new roles. First, they are facilitators of group inquiry and decision-making. This means they promote the development of learning within the group, insure that decision-making is participatory, and keep the process focused on a time frame and spatial scale relevant to farmers. Second, instead of acting as lecturers, researchers and extension staff employ their technical resources and analytical skills to promote group inquiry. Diagnostic field tours to visualize weed problems, reconstruction of recent weed trends in different fields to evaluate decision-making, and field exercises that reveal cause and effect can promote group analysis and plans for action. Scientists and extensionists provide information in the form of suggestions rather than recommendations. These suggestions may come from scientists' personal experience, the results of experiments, and technical literature. group focus (Bryant & White, 1984, pp. 14-32; Pretty, 1995, pp. 147-9). The debate, dialogue, and exchange of ideas in a group generates motivation and promotes creativity. This process also insures that everyone has a more equal access to all relevant information. Data collection and group discussions among 10 to 25 farmers better represent the spectrum of field conditions and farmer experiences in a community or region. This spectrum is especially important for developing management strategies for weed patchiness and uncertainty. Additionally, in group meetings farmers outnumber researchers and extensionists, helping to promote a focus on field problems and practical solutions and the use of uncomplicated language. Similarly, the participation of several extension staff and more than one researcher, possibly from different disciplines, serves to broaden the opinions and perspectives.